Honey is one of the few foods low in pesticide contamination. Contaminated bees die before they reach the hive. Most diseases of bees are not transferred to humans. Honey is also free of preservatives, artificial flavors, colors, and will not mold. Bacteria and disease micro-organisms when introduced into honey died within a few hours or days. Babies younger than a year should not be given honey. 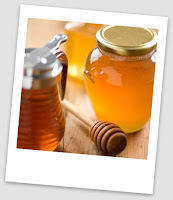 Honey will not freeze, so store it almost anywhere, in a solid container with a tight lid. Be sure to keep honey covered. When left uncovered, honey picks up other odors and loses its own aroma. Honey in storage usually gets darker in color and stronger in flavor, but remains useful as ever. Remember honey that has been diluted with water will ferment. Always mix honey thoroughly with other recipe ingredients before turning mixture into baking pans. This will prevent a too-moist, over-sweetened layer from collecting on the top. Make it a rule to combine honey with the liquid ingredients to assure complete distribution in the mixture. When using honey in substitution for sugar in standard recipes, a general rule is to reduce the amount of another liquid ingredient by 1/4 cup for each cup of honey used. Honey can generally replace 1/2 of the required sugar without changing the proportions of the other ingredients in the recipe. Honey absorbs and retains moisture, thus slowing the drying out of baked goods. This is especially important when you want to bake in advance, or save baked goods for any length of time. Pure honey usually becomes granulated as it ages, or if stored at cold temperatures. Granulation is a natural aging process and does not affect the honey except for color and flavor. Just put honey in a pan of warm water. 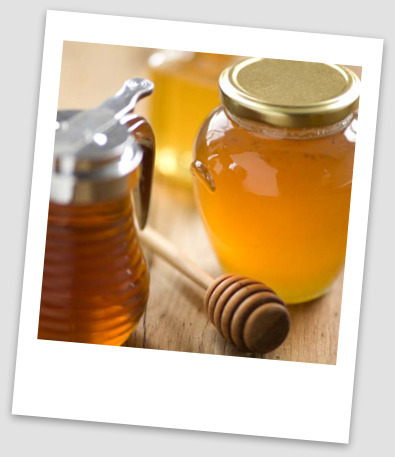 Make sure the jar of honey is up off direct heat by putting it on a rack or jar lids in the pan of water. Be careful not to overheat granulated honey since too much heat causes the honey to change color and flavor.